Glass isn’t without its kinks, of course. Poor battery life, high cost, a flimsy frame and social unacceptability are only some of the reasons why some are predicting that the device will fail to sell. Others, however, foretell high demand and millions of sales. Time will tell. The device should be released to the public sometime in 2014 for an as-yet unannounced price. For the moment, the beta version is only available to a select few for $1,500 a pair. With news of the first traffic violation ticket issued to a Glass user, people are speculating about the safety ramifications of Google Glass being used on the road. Three states have already introduced legislation to ban the use of Glass while driving. Google, predictably, has attempted to head off safety concerns by advising caution while driving with Glass. There are several ways that Glass may change the way we drive, but the key word there is “may.” We don’t really know how Glass will impact driving safety until it is extensively researched and tested behind the wheel. For now, speculations range from “Glass will impede vision and add distractions” to “Glass will make driving safer by removing the need to look down at a GPS and the temptation to text with a handheld device”. It would be prudent to withhold final judgment until more data is available. Will Google Glass one day be implemented with our cars navigation and internet systems? Mercedes is anticipating the need for not only internet and iPhone implementation for cars, but Google Glass as well. “We definitely see wearable devices as another trend in the industry that is important to us,” explained Johann Jungwirth, Head of Mercedes North American. Will implementing Google Glass for cars “catch on” with car manufacturers just as internet has in the recent past? Ford is developing in-car Wifi, referred to as MyFord for release very soon. BMW already provides in-car wifi with a snap-in LTE card. The Rolls Royce Ghost also has an interior hotspot – this one is located in the rear area. Car and Driver estimates that, “In 5 years 25% of cars will be connected to the internet”. Even though safety concerns when driving has caused it’s share of commotion, the greatest stir surrounding Google Glass’s advent to the technology arena centers on a privacy question: Does Google Glass invade your privacy? Video can be captured in a more clandestine manner by starting video capture before you are observed. However, the screen is visible from both sides, so anyone standing near the device can see what’s being recorded. 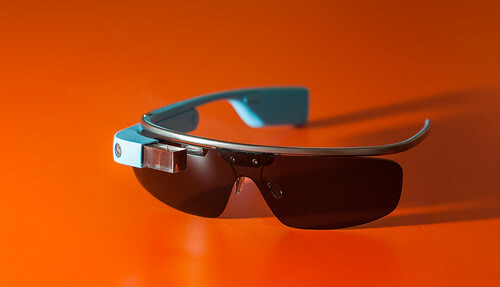 Let’s also recall that Google Glass is anything but subtle in design. In fact, it lands more on the “incredibly dorky” than sleek and cool side of things. It may not be odd enough to prevent its widespread use — after all, bluetooth headsets have gained social acceptance — but it’s definitely visually obvious enough to make it less of a privacy threat. 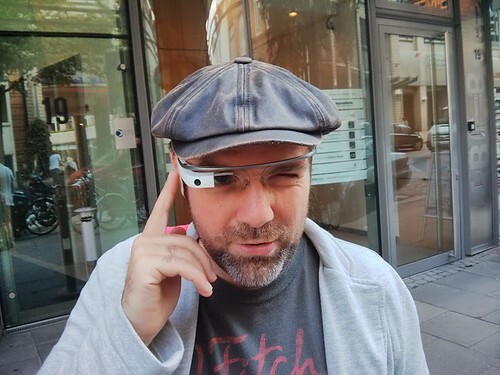 Above all, let’s remember that, while Google Glass is something new that may streamline some aspects of smartphone technology, it really doesn’t introduce any new threats at this point. Everything it accomplishes can already be accomplished with a smartphone. The differences are that the location of the touchpad is closer to the face, and Glass’s functions can also be performed through voice commands. While these differences may take some getting used to, they don’t fundamentally change the way we share or protect information.